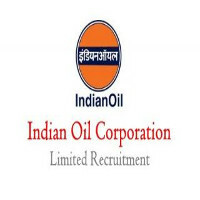 IOCL Jobs Recruitment Notification 2019.Indian Oil Corporation Limited, IOCL inviting applications for the positions of Junior Engineering Assistant, Junior Engineering Assistant/Junior Technical Assistant, Multiple.Interested and Eligible candidates can apply for the positions. Last Date for Submission of Application is on February 05th, 2019. 1. Candidate is allowed to apply for only one post, In case of receipt applications for more than one post, all the applications will be summarily rejected. 2. Eligible Ex-Apprentice must possess the prescribed qualification from a recognized Indian University/Institute as a regular full time B.Sc. Course (Physics, Mathematics, Chemistry/Industrial Chemistry)/ Diploma course with minimum 50% marks (45% for SC/ST and PwBD category candidates) in aggregate. For regular full time ITI (Fitter), only a pass shall be eligible. 3. Eligible Ex-Apprentices shall be allowed to avail maximum two opportunities (three opportunities for ex-apprentices belonging to SC & ST category) for employment for Ex-Apprentices of IOCL, Barauni Refinery under Stage-I Recruitment process. 4. Ex-apprentices who are not successful in stage-I selection process, may avail opportunity for recruitment against vacancies notified through open advertisement under stage-II recruitment on All India basis till they meet the prescribed eligibility conditions. 5. Qualification for the purpose would mean the qualification based on which candidature is offered or considered claimed by a candidate. 6. A qualification acquired through Part-Time/Correspondence/Distance Learning mode shall render the candidate ineligible. 7. A Sandwich Diploma Course (with industrial training as part of the course with no break) shall be considered eligible. 8. Diploma under recognized lateral entry scheme (Class – XII (Sc. )/ITI admitted in 2nd year of Diploma course) shall also be considered eligible subject to meeting prescribed percentage of marks on the basis of aggregate of 4 semesters in the diploma course. 9. No claim of possession of a qualification equivalent to a prescribed qualification shall be entertained. 10. Candidates possessing higher professional qualification such as BE, B.Tech, MBA, MCA, CA, LLB or any such equivalent qualification shall not be eligible. 2. Proof of Date of Birth: Certificate issued by a Board of Secondary Education for passing Matriculation/Higher Secondary shall be the only acceptable document in support of proof of age. 6. All the Mark Sheet (Semesters) of Diploma/BSc (PCM)/ITI (Fitter) issued by the respective Board/University. 7. Certificate from the Institute where the candidate has pursued his Degree/Diploma etc. is a regular full time course and the date of publication of result of the final year/ final semester of the Degree / Diploma course in case the date of Declaration of result is not mentioned in the Mark Sheet, the candidate must submit a certificate mentioning the date of publication of result from the Principal of the Polytechnic/College from where the candidate pursued his Diploma course, along with his application form. 11. PwBD certificate (as per prescribed format). Copy of documents pursuing higher qualification (suppression of information regarding possession of or pursuing higher qualification shall render a candidate ineligible for consideration at any stage of selection and termination at any time during employment, if recruited). 2. Candidates securing minimum of 40% marks in the Written Test may qualify for Skill/Proficiency/Physical Test (SPPT). 3. The minimum qualifying marks in Written Test will be relaxed by 5% for candidates belonging to SC & ST Category against reserved positions. 2. Candidates are required to send the duly filled in Application Form supported by self-attested photocopies of all relevant documents (Qualification/Experience/Age/Caste/ Apprenticeship Certificate issued by BR etc.) to the Dy. General Manager (Human Resources), HR Department, Barauni Refinery, Begusarai, Bihar-851117 on or before 05.02.2019 through Ordinary Post. 3. Candidates should superscribe Advertisement Number and Name of the Post applied for on the top of the envelope. 4. Incomplete application, not supported by self-attested copies of relevant documents, Applications received after the last date shall be summarily rejected without any further communication whatsoever. 5. Candidates are advised to carry a copy of the application with originals & self-authenticated copies of all testimonials and produce the same at the time of Skill/Proficiency/Physical Test for verification.